Arnoff's commercial moving services are designed to be cost and time-efficient, ensuring the most secure transport and warehousing of your goods. Since 1924, our processes as a commercial mover are streamlined, organized and meticulously managed by our qualified and highly-trained professionals. We invite you to explore how Arnoff Moving & Storage can best serve your commercial moving needs. 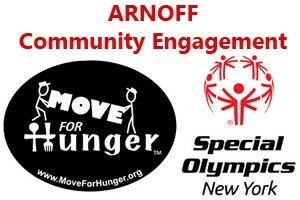 Arnoff is proud to service New York's Hudson Valley, Massachusetts, Connecticut and the Fort Pierce area in Florida for their commercial moving requirements. Click here to view our Office & Industrial Relocation Services brochure. Arnoff also relocates libraries! We are featured in the following video showcasing the relocation of the Rudolf Steiner Library from the Carriage House in Harlemville, NY.